The Supreme Court judgment upholding the removal of Vipul Chaudhary from the largest dairy cooperative of the country GCMMF , on the sidelines invoked the true spirit of cooperative and interpreted the existing cooperative acts in modern light. The highest court of the land referred to ‘seven cooperative principles’ as guidelines by which the cooperatives put their values into practice. It further observed that the National Policy on Cooperatives announced by the Department of Agriculture and Cooperation, Ministry of Agriculture, Government of India adopted in March, 2002, is wholly based on the definition, values and seven cooperative principles. Coming to 97th Amendment to the Constitution of India, the Supreme Court observer “in fact, 97th CAA gave a constitutional frame to this policy. Apart from providing for the right to form cooperative societies to be a fundamental right under Article 19 of the Constitution of India and insertion of Article 43B under the Directive Principles of State Policy on promotion of cooperative societies, the amendment also introduced a new Part IXB on Cooperative Societies. “Reference to the Statement of Objects and Reasons of the amendment would give a clear picture as to the need to strengthen the democratic basis and provide for a constitutional status to the cooperative societies. 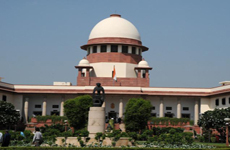 Thus, one has to see the constitutional aspirations on the concept of cooperative societies after the 97th Amendment in the Constitution of India which came into effect on 12.01.2012”, the SC observed.